Entei, Torchic, Hitmonlee, Pikachu, Ralts, Cherrim, Treecko, Charmander, Wooper, Fletchling, Groudon, Ekans, Rapidash, and all others CHARGE. This attack does 2000000 damage. 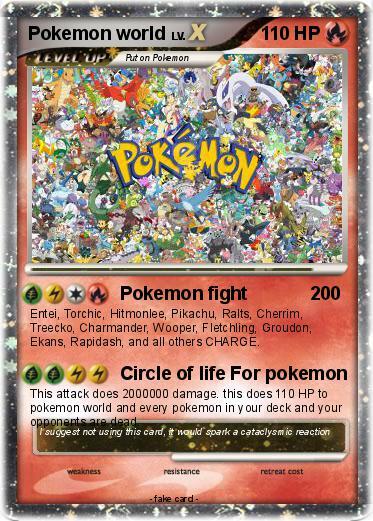 this does 110 HP to pokemon world and every pokemon in your deck and your opponents are dead.